Description: Mounts on 500 shunt. 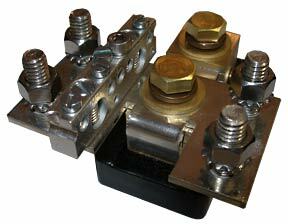 Same busbar used in the Nottagutter. Four 3/8 inch battery cable studs and six position aux terminal busbar. Made of tin plated copper.